Former Spurs two-way player Darrun Hilliard has signed a contract with Spanish club Baskonia, the team announced today (Twitter link). It’s a one-year deal. Hilliard, a second-round pick in the 2015 draft, spent two seasons with the Pistons before being dealt to the Rockets in June 2017. Houston used him as a salary-matching piece in the Chris Paul trade with the Clippers, who subsequently waived him. The Spurs signed Hilliard to a two-way contract last September, and kept him under contract for the entire 2017/18 season. The 6’6″ swingman appeared in just 14 games for San Antonio, but played well in 36 contests for the team’s G League affiliate, the Austin Spurs, averaging 20.7 PPG, 4.5 RPG, and 3.8 APG with a shooting line of .475/.400/.845. Hilliard received a qualifying offer from the Spurs at season’s end, making him a restricted free agent, and it doesn’t appear San Antonio ever withdrew that offer. This is the first summer that two-way qualifying offers have been an option for teams and players, so we’re still figuring out how they’ll be used going forward. Assuming they function like standard QOs, the Spurs should have the option of keeping that offer on the table next offseason before Hilliard can sign another NBA contract. The Raptors have taken this approach with Nando De Colo for the last several years, tendering him a qualifying offer every year in case he decides to return to the NBA. The Pelicans added a pair of young building blocks in Julius Randle and Elfrid Payton this summer and the new personnel could lead to an even faster pace of play, William Guillory of The Times-Picayune writes. The addition of two athletic young players – Randle is still just 23 years old while Payton is 24 – will serve the Pelicans well. Guillory writes that New Orleans led the league in pace after DeMarcus Cousins went down with an Achilles injury in January. The Grizzlies see fourth-overall pick Jaren Jackson Jr. as a Defensive Player of the Year-type player, J. Michael of The Indianapolis Star writes. “He’s a natural talker and in order to be a great defender you got to be a natural talker. That’s what he is,” Memphis assistant Greg Buckner said. The Spurs chose not to withdraw their qualifying offer from Darrun Hilliard before Friday, meaning they won’t be able to do so without Hilliard’s blessing, Tom Orsborn of The San Antonio Express-News writes. Hilliard remains a restricted two-way free agent. The Spurs have downgraded rookie Chimezie Metu‘s wrist injury from a sprain to a fracture, Tom Orsborn of The San Antonio Express-News writes, noting that Metu will wear a cast but will not require surgery. The Spurs have filled the second two-way player opening on their roster, announcing today in a press release that they’ve signed free agent swingman Darrun Hilliard to a two-way contract. San Antonio previously signed big man Matt Costello to the club’s first-ever two-way deal. Hilliard, 24, was involved in several NBA roster moves this summer, including being included in one of the biggest trades of the offseason. A Piston to end the 2016/17 campaign, Hilliard was sent to the Rockets in a June swap, then flipped to the Clippers as part of the package Houston traded for Chris Paul. The Clippers waived Hilliard to avoid having his salary for 2017/18 become guaranteed. A former 38th overall pick, Hilliard appeared in 77 games for the Pistons over the last two seasons, playing sparingly. He also appeared in seven total games for the Grand Rapids Drive, Detroit’s G League affiliate, averaging 24.4 PPG in those contests. The Villanova alum added some national experience to his professional résumé this summer, earning a spot on the Team USA squad that won a gold medal at the FIBA AmeriCup earlier this month. With Hilliard officially locked up, the Spurs now have 18 players under contract — 16 on NBA deals and a pair of two-way players. That leaves two openings on San Antonio’s 20-man offseason roster. As the smoke clears from the chaos of the Chris Paul trade, details have emerged regarding the numerous side deals that went down in order for the Rockets to acquire the superstar point guard from the Clippers. We broke down the math behind the trades but Eric Pincus of Basketball Insiders has provided insight as to the exact financial details of the deals that brought players on non-guaranteed deals to the Rockets in exchange for cash considerations. The Rockets will pay the Mavs $175K for DeAndre Liggins. The Rockets will pay the Hawks $75K for Ryan Kelly. The Rockets will pay the Trail Blazers $100K for Tim Quarterman. The Rockets will pay the Pistons $1MM for Darrun Hilliard. Veteran Suns forward Jared Dudley underwent surgery to repair a lingering toe issue and will be sidelined 3-4 months, ESPN relays. The Nuggets will get a good idea of where they stand in the eyes of free agents this summer, Chris Dempsey of Altitude Sports writes. The scribe asks whether Nikola Jokic‘s breakout campaign will be enough of a foundation for the club to recruit off of. The Rockets could look to sign Zhou Qi to a multiyear deal by using a portion of their mid-level exception, Jonathan Feigen of the Houston Chronicle writes, but they wouldn’t be opposed to siging him to a shorter deal if that meant landing another coveted free agent. Darrun Hilliard, part of the package the Clippers received from Houston in Wednesday’s Chris Paul trade, has been waived, tweets Brad Turner of The Los Angeles Times. Hilliard began Wednesday in Detroit, where he had spent the past two seasons with the Pistons. His non-guaranteed $1,471,382 salary for next season made him a target for the Rockets, who were looking for easily waived players to help match Paul’s salary. Houston acquired Hilliard for cash considerations and sent him to L.A. The 38th pick in the 2015 draft, Hilliard spent much of the past two years in the G League. He got into 39 games with the Pistons this season, averaging 3.3 points in 9.8 minutes per night. The move is a bombshell, particularly since Paul had been expected to reach free agency this weekend — a report last week indicated that he had made the decision to opt out of his contract. 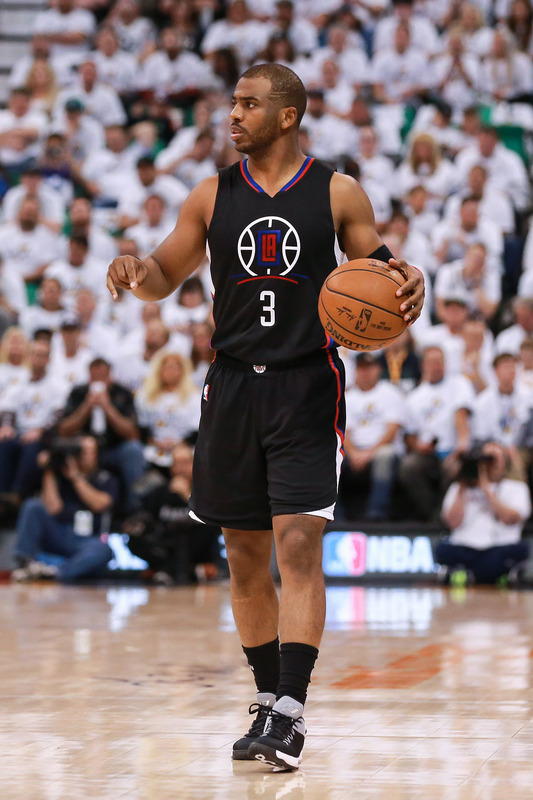 However, CP3 had yet to formally file the paperwork to exercise that early termination option. Instead, he’ll waive the ETO, which will allow him to play out the final year of his deal and become eligible for unrestricted free agency in 2018, unless he signs an extension with Houston before next July. Paul is currently set to earn $24,268,959 in 2017/18. According to Wojnarowski, the Clippers and Rockets reached an agreement after Paul informed L.A. that he intended to sign with Houston in free agency. From the Clippers’ perspective, the trade with Houston is a way to recoup some value for the star point guard and avoid losing him for nothing. Meanwhile, the Rockets will no longer have to worry about trying to dump a salary or two in order to create enough room for a maximum salary slot for Paul. The Rockets, who were reported on Tuesday to be a “serious” threat in the Paul sweepstakes, have now secured their man before the free agent period even gets underway. The club’s star-studded backcourt will create an intriguing dynamic, since Harden is coming off an MVP-caliber season in which he served as Houston’s primary ball-handler. According to Wojnarowski (via Twitter), Paul and Harden were “determined” to play together, so the duo is presumably unconcerned about how the ball-handling duties will be shared going forward. It will be interesting to see if Rockets president of basketball operations Daryl Morey has anything else up his sleeve for the team in July. According to ESPN’s Jeff Goodman, the club is still on the lookout for a third star to complement Paul and Harden. Houston was reportedly involved in Paul George trade talks, though the club surrendered some valuable assets in today’s move, so it’s not clear whether Morey still has enough pieces to interest the Pacers. With Paul now headed to Houston, the Spurs – who were rumored to be a contender for Paul – will have to look elsewhere if they intend to sign a marquee free agent point guard. Teams around the NBA hoping to re-sign their own star point guards, such as the Pelicans (Jrue Holiday) and Raptors (Kyle Lowry), may also be breathing a little easier, since the Rockets were viewed as a team capable of shaking up the point guard market. As for the Clippers, it’s not clear yet if today’s deal will be the first domino to fall in a full-fledged rebuilding process for the club, or merely a retooling of the roster. In Beverley and Williams, the Clips will acquire a pair of effective and affordable veteran guards who figure to step into key roles right away. Dekker is more of a wild card, but the 23-year-old big man flashed some upside in a rotational role for the Rockets last season, as did Harrell. Paul’s departure also figures to be a factor in Blake Griffin‘s impending free agency. Unlike Paul, Griffin has formally exercised his ETO with the Clippers, so he’s on track to become an unrestricted free agent on Saturday. Given the reported tension between Paul and Griffin over the years, it’s possible that the trade of CP3 makes Griffin more likely to re-sign — Sam Amico of AmicoHoops.net (Twitter link) spoke to several league executives who speculated as much. Because the combined salaries of Beverley, Dekker, and Williams – the package reported initially for the Clippers – weren’t enough for the Rockets to land Paul, Houston spent most of the day acquiring players with non-guaranteed salaries from other teams to include in the deal. Liggins and Hilliard will be flipped to the Clippers, but Tim Quarterman, Shawn Long, and Ryan Kelly, who were all traded to Houston earlier today, won’t be part of this transactions — Houston instead included Harrell and Wiltjer. I explained the math from the Rockets’ perspective earlier today. By structuring the deal as they did, the Rockets will remain over the cap and will have the mid-level exception ($8.4MM) and bi-annual exception ($3.3MM) available to pursue free agents when the new league year begins. The Clippers waived retiring forward Paul Pierce in order to adhere to the NBA’s offseason roster limit of 20 players. Adrian Wojnarowski of The Vertical (Twitter links) broke news of the trade. Jonathan Feigen of The Houston Chronicle and Brad Turner of The Los Angeles Times were among those who reported key details along the way. 2:50pm: The Pistons have officially sent Hilliard to the Rockets for cash considerations, the team announced. 1:58pm: The Rockets’ busy day continues, according to Sam Amick of USA Today (via Twitter), who reports that Houston will acquire Darrun Hilliard from the Pistons. The move is the fifth reported trade today for the Rockets. Hilliard, a 2015 second-round pick, appeared in 77 games for the Pistons over the last two seasons, playing sparingly. He also appeared in seven total games for the Grand Rapids Drive, Detroit’s G League affiliate, averaging 24.4 PPG in those contests. Hilliard, who has a $874,636 cap hit in 2016/17 and a non-guaranteed $1,471,382 salary for 2017/18, may be the last piece required for the Rockets to complete their trade for Chris Paul with the Clippers. Earlier this afternoon, I broke down the math behind Houston’s series of moves, noting that the team likely needed to acquire one player to flip to L.A. for salary-matching purposes.